The team at Family Dental Practice of Newington simply loves helping little smiles. 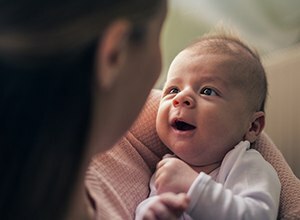 It gives us a chance to make sure your little one’s teeth are developing correctly and teach them the basics of dental care. With our younger patients, we do absolutely everything with a gentle touch so their appointments are always calm, cool, and relaxed. 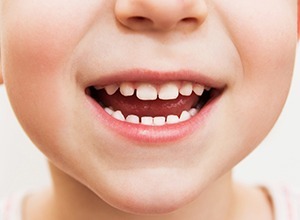 Is your child starting to get their teeth? If so, it’s time to come see us, and we can’t wait to meet you! To schedule an appointment, contact us today. Of course, your child needs consistent oral care well before their teeth start to come in. After every feeding, be sure to gently clean their gums with a washcloth and some warm water. Once those little teeth begin to appear, you can move on to using a toothbrush, but don’t start using toothpaste until your dentist says it’s okay. 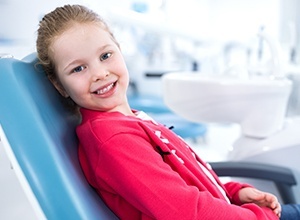 The American Academy of Pediatric Dentistry recommends that children should see a dentist by the time they are one year old. This might seem quite early, but even at this stage of their development, our team will be able to spot concerns early so we can treat them quickly. When your child comes in for their standard appointment, we’ll always go at their pace. We won’t clean their teeth or examine them until they’re ready so we can keep their dental experience completely positive. While you’re by their side, we’ll take a look at their teeth, count them, and perform a brief cleaning. Once that is complete, we’ll take a moment to talk with you about how to take care of their growing smile and offer tips that your child can use when you get home. 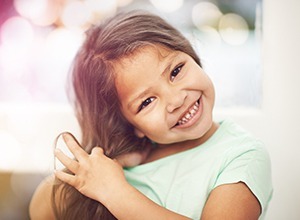 For a child, the rough chewing surfaces of the back teeth are the most likely place for cavities to develop, so to give them a little bit of extra protection right where they need it, we can apply what is called a dental sealant. This will place a thin, clear layer of a plastic-based substance on their back teeth that creates an invisible barrier that plaque and food particles cannot penetrate, effectively stopping both tooth decay and cavities. Fluoride is absolutely essential to a developing smile, but too much too early for a child can actually damage their teeth. To make sure they are getting the right amount, we’ll let you know when you start using a fluoride toothpaste at home, and when they come to see us, we can give them a quick fluoride treatment to keep their teeth healthy between appointments. Children get into accidents all the time, and that’s especially true during sports! 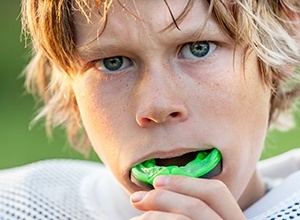 To make sure their teeth don’t become chipped or broken, we can provide them with their own custom-made mouthguard. We’ll shape it to fit comfortably over their teeth so it’ll allow for easy breathing and speaking. Plus, our mouthguards are much stronger and thicker than anything you can buy at the store, ensuring their smile will be safe whenever they go to play. 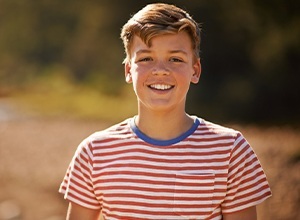 A frenectomy is a short procedure that is used to snip a short or thick frenulum that is preventing a child’s mouth from functioning properly. Frenulums are small pieces of tissue that are essential to the movement of the lips and tongue, and when they are too short, they can cause a variety of dental and even breathing problems. They can make it especially difficult for infants to feed as well. Thankfully, we can quickly take care of this problem with our soft tissue laser. It’s able to painlessly cut a frenulum so both parent and child can leave our office happy and healthy!